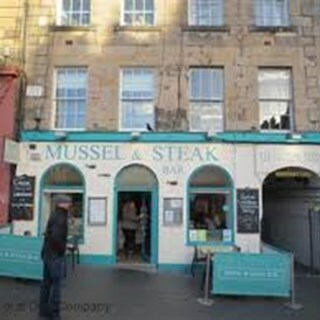 Casual and relaxed dining experience in the heart of the Grassmarket. 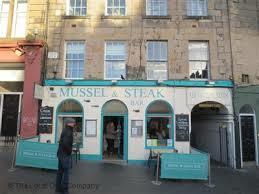 Serving succulent steaks, moorish seafood- all sustainable and local!! Quite disappointed by my visit, I remember visiting  a while and having such an amazing time, remember the muscles used to be phenomenal. There weren't many gluten-free options, I was very limited especially with the sides( even the side vegetables weren't gluten free). The cocktails were ordered were  small for the price we paid . Amazing food, great atmosphere, would definitely recommend and can’t wait to go back! We are a family of four who come here regularly for birthday meals, have never been disappointed,  excellent food, great service. Love this restaurant, can’t wait to return. Thank you for a lovely night of excellent service even though you were so very busy, gorgeous food and lovely atmosphere. I would fully recommend this restaurant. Staff were fantastic and so helpful , food was great quality and really good value. We had the lunch menu which were smaller portions but still enough for us! Great evening in a great restaurant. One negative point was there is limited  room between chairs upstairs and I actually had to ask one of the staff to stop kicking my chair whilst passing. Shame as it was a great experience. Sorry to say but we were freezing all time as the door hasn’t any curtain or similar to keep the cold wind outside when somebody is coming in. So the atmosphere wasn’t nice at all. So we all four left with a bad feeling and won’t come back. Sorry to say. Everything was really good! Would definitely head back again! Excellent food on a busy Saturday evening. I am a pescatarian who was very much looking forward to fish and chips for lunch. I'd read reviews of your place that said you had options for beef fat chips or vegetarian chips. I was very disappointed to find out at the restaurant that this is no longer the case. Please make it more clear on your website that none of your chips are vegetarian!